Lake Eyre and the desert have come back to life due to recent rainfall! 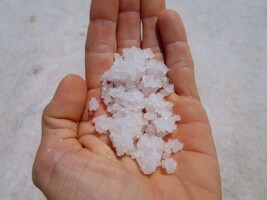 Join our special Lake Eyre Tour Express to see the transformation from dry to wet right now! 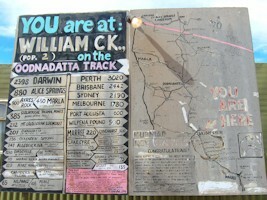 Tour Route via Coober Pedy, William Creek and Marree. Overnight stays include the iconic Prairie Hotel. 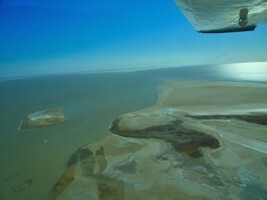 Lake Eyre Scenic Flight from William Creek, the closest airfield to the lake. Enjoy your 2 hour flight with professional commentary. Window seat guaranteed. Luxury 4WD with air-conditioning and on-board fridge for cool drinks. Fully accommodated tour. Join this small group tour from Adelaide and travel to Lake Eyre and Outback Australia. Walk on the salt pans of South Lake Eyre, fly over North Lake Eyre, see the endless horizon at Lake Hart and discover the pink salt lake of Lochiel- the ultimate salt lake experience from Adelaide. Guaranteed Departures with a minimum of 2 all year. 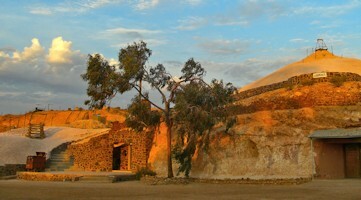 Day 1 Today we will pick you up from your Adelaide city hotel and travel along the Explorer Highway to Coober Pedy. We break for lunch in Port Augusta before we continue our journey to Lake Hart and Woomera. 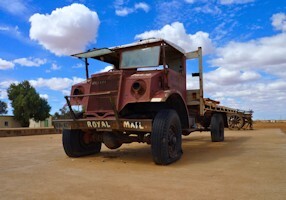 Walk among the rockets and planes before driving the last stretch to Coober Pedy. Coober Pedy was once just a rocky, dusty desert plain and is now the opal mining capital of the world. We will check into our underground accommodation and join back for a delicious dinner. 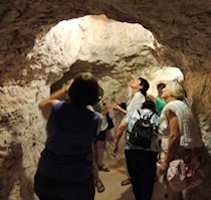 Day 2 Coober Pedy is a very bizarre town and we start the day with an opal mine tour and learn about this beautiful gem stone. Look at some spectacular examples before our drive to the colourful Breakaways. After lunch we travel to South Australia's smallest town William Creek. We arrive mid afternoon with plenty of time to check out this remote and unique area. Relax and unwind in your en-suited cabin or join the locals for an ice cold beer before our dinner. 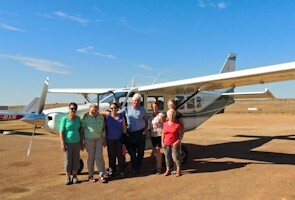 Day 3 This morning we take our stunning scenic flight over Lake Eyre. 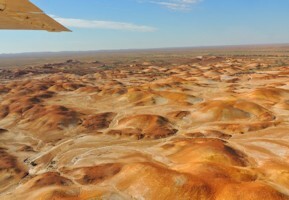 Our special two hour flight will take you over Lake Eyre and the Painted Hills. William Creek has the closest airfield to the lake which gives you the best two hour flight. After an unforgettable flight we drive along the Oodnadatta Track to South Lake Eyre. Walk to the edge of the lake or enjoy the views from the information bay. Be amazed by the endless horizon and witness the vast inland, loneliness and incredible nature. Then it is time to make our way to Marree. Learn about Sir Sidney Kidman and the history of the many displays here. The iconic Prairie Hotel is our final destination for tonight. Check out the fossil collection, talk to the friendly locals and have a look at their innovative menu with the "Flinders Feral Food" twist. We dine and stay overnight at the historic Prairie Hotel. Day 4 Our final day has arrived and we take the scenic route back to Adelaide. 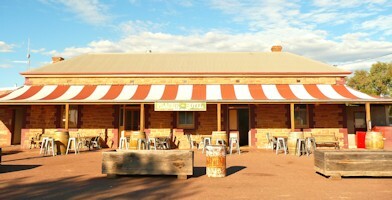 We drive south through the country towns of Hawker, Eurelia and Oororoo. After lunch we take you to the beautiful Clare Valley one of the oldest wine regions in Australia. Enjoy a delicious wine tasting at one of the cellar doors. We are now on the home stretch to Adelaide and our fabulous Lake Eyre Express Tour is coming to an end. Arrive back in Adelaide by 4 pm. If you wish to join our Lake Eyre Bus Tour, we offer a 5 Day group tour to Lake Eyre. 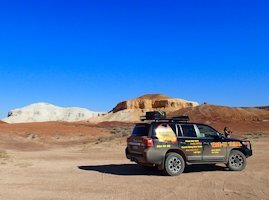 Private 4WD or Bus Tours to Lake Eyre are available all year and can be customised to your needs.